Forging Presses use localized compressive forces to shape metal into very rigid objects. Lien Chieh Machinery (LCM) manufactures a wide range of highly efficient Forging Press Machines that are able to very economically and safely forge parts and components. To further increase the versatility of our Forging Press selection, we also offer specialized Hot Forging Presses and Cold Forging Presses. LCM is a leading Hydraulic Press and Press Maker that produces a wide selection of Hot and Cold Forging Press Machines for a wide range of industrial applications. 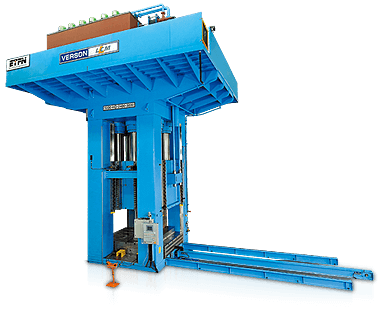 As we become your foremost Hydraulic Press manufacturing partner, we can design and develop presses in line with your specific requirements no matter how demanding they are. We continually strive to improve our manufacturing processes to be sure that we offer you precision, durable, and very productive Hydraulic Hot and Cold Forging Presses. All our Forging Presses can be designed for a number of special purpose applications such as for extrusion, drawing, trimming, or calibration functions. By also offering specially designed Hydraulic Hot and Cold Forging Press Machines our customers can rest assured that our machinery can handle even the toughest forging requirements.